“Temperatures in the Detroit, Flint and Saginaw areas all set record lows this morning, Tuesday, Jan. 7, according to the National Weather Service in White Lake Township. 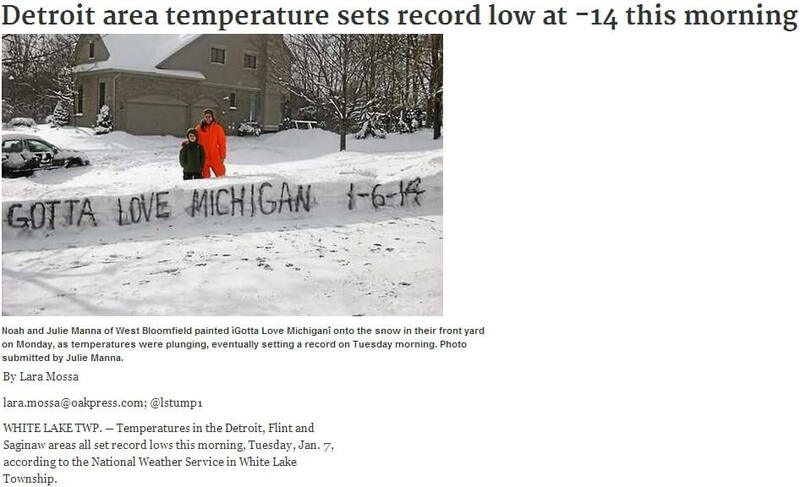 The temperatures were recorded at -14 in the Detroit area, breaking the record of -5 set in 1942; -14 in the Flint area, breaking the record of -10 set in 1986; and -11 in the Saginaw area breaking the record of -9 set in 1912. With wind chills dropping the temperature to around -30°F, people were advised to stay at home unless it was absolutely necessary to go out. People who did decide to stay home undoubtedly had to crank up their furnaces just to keep warm. Although some may be worrying about the high energy bills associated with cranking up the heat, those who decided to get wood window replacement in Detroit, Michigan before the temperatures tanked do not have to worry. Mechanical failure is a telltale sign of a window that needs replacing, yet most homeowners decide to bear with the problem. Signs of mechanical failure include trouble opening or closing windows, needing a prop to keep a window open, and a painted-shut window. Soft window frames usually mean moisture has penetrated the wood. Lightly tap the window frame using a screwdriver or blunt object to test for soft frames. If you notice condensation build-up along the edges of your window—especially during the morning—you have a window problem. Condensation build-up is a sign that your windows are allowing heat to escape to easily due to caulk or seal failure. The aforementioned signs indicate it’s most likely time to call a trusted Detroit, MI wood window replacement company like Kroll Construction. Do not delay calling a professional if you need replacement windows as every minute defective windows stay secured, the higher your energy bill will end up.